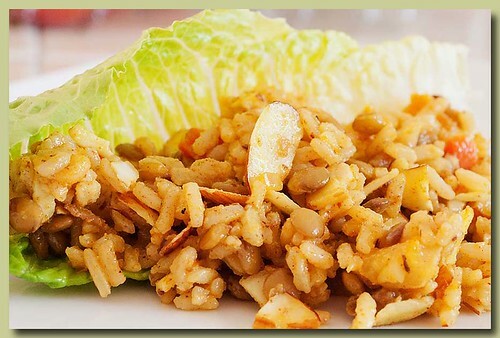 Rice and dried fruit, combined with a salad dressing with an attitude, Yep, that's my kind of salad. I found this on my quest for some great summer salads. This is one I will make often this summer. 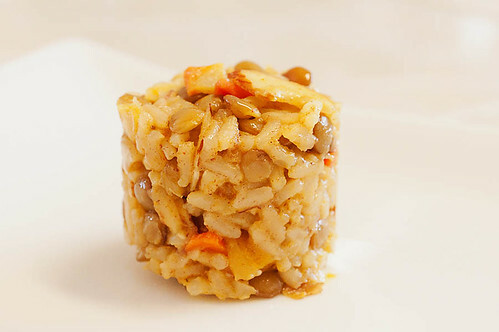 Besides the cooked rice, cooked lentils, dates and dried apricots that aren't shown here, you'll need. 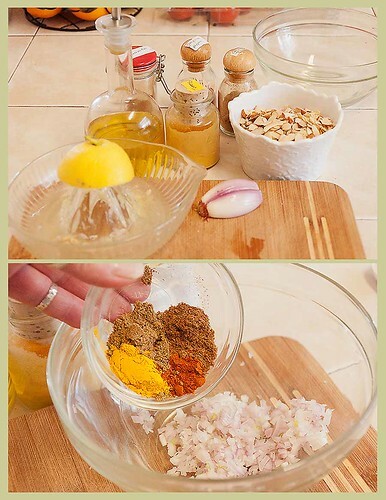 Sliced almonds, shallot, lemon juice, olive oil, cumin, turmeric, cayenne pepper and cinnamon. Finely mince the shallot and in a small bowl, add in the spices. 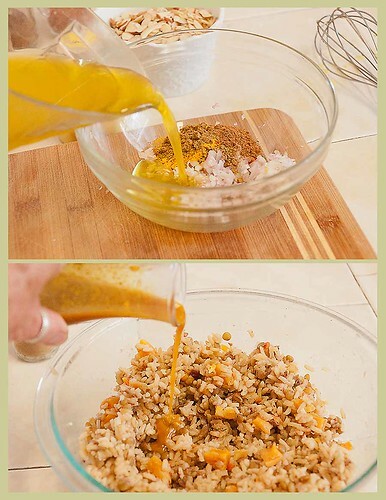 Whisk, whisk, in the olive oil and lemon juice then pour over the rice and dates and apricots that you combined earlier. 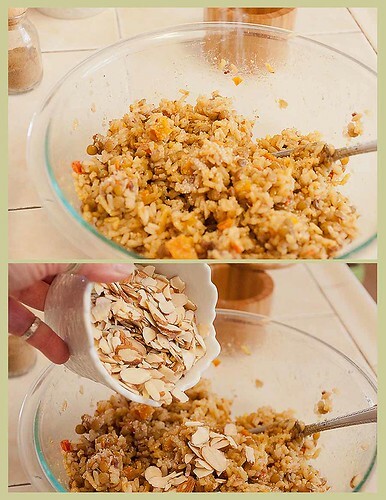 Add the salt, pepper and sliced almonds and mix gently. I know it's not nice to play with your food, but I grabbed one of my napkin rings to see if it would mold. over the lentil mixture and stir gently. Taste and adjust seasonings. Marinate for a few hours. Best the next day.